Forest God is a progressive rock/metal project by Peter Kiel Jørgensen from Aalborg in Denmark, who recently released a second EP titled ‘Back to the Forest,’ a follow-up to the 2016 debut EP ‘The Boy Who Flew Away.’ In an interview for Prog Sphere, Peter introduces his project, talks about the new EP, inspiration and influences, and more. Define the mission of Forest God. The main mission is to make music. It seems as a matter of course. But I mean music where there is time to sit back and close your eyes while listening. Music where “when the music is not playing” is as important as when there is a lot of stuff going on. As a kind of contrast so to speak. Tell me about the creative process that informed your new EP Back to the Forest and the themes it captures. I started writing the songs for Back to the Forest very shortly after releasing the first EP The Boy Who Flew Away back in 2016. For me it is very important to keep all doors open. In the beginning I did not really try to be “prog” or what you would call it. I just started writing some songs and did what I felt suited the song best. I’ve always played mostly electric guitar and I’ve played a lot of metal through the years but in Forest god my main instrument and the supporting element in the music is the acoustic guitar. To be creative on a different instrument, I mean it’s still a guitar but you know what I mean, is a very fun but challenging way to write music and I can definitely recommend it. I work as a teacher and a lot of my inspiration comes from the children I meet in connection with my work. Shortly said: The world from a child’s perspective. What is the message you are trying to give with Back to the Forest? Have patience and remember to sometimes close your eyes and just drift away. When I was a child I loved to imagine all sorts of stuff, I could run around with a toy and fight huge battles in my mind, I would stay for hours in the forest near our house, build treehouses with my friends and play all sorts of roles from movies, books etc. The dynamics are very important. If you listen to the whole thing, which isn’t very long, you will definitely be able to feel the culmination. I hope so. It has been a long process. Like I mentioned earlier I started writing the songs shortly after the release of the first EP in the summer 2016. But… Then a wonderful thing happened, I became a dad to a little girl. That obviously was a huge change in my life. Luckily I’m able to record a lot of stuff in our apartment, and in Denmark we are very fortunate to have maternity conditions, so when our girl was sleeping in the stroller I had some time to sit down to either record or arrange some things. Forest god is what you would call a solo project but on the EP you will be able to hear a lot of fantastic musicians, and to not receive any advice from them in connection with either the songwriting or the arrangement would be just plain stupid. I love writing pieces where there is space for the other guys to try different things out. As an example you will hear like a one-minute drum solo in the middle of the song “The Long Night” played by the awesome Martin Haumann (Myrkur, Essence and Mother of All). How long Back to the Forest was in the making? I love recording, mixing and mastering and even though I’m still a newbie on the field I try to do as much as I can myself, as long as I get the desired result. Personally, I think that way too much music is overproduced. Technology has done a lot of great things for us, but as a romantic I think there was something great about recording the old fashion way, without all the quantizing and stuff. I use it myself, everybody does, but I try to control myself. I’m just a teacher from Denmark who loves playing music. One can only hope that someday people will pay more attention to different impressions. That is in my opinion one of the most infuriating things about the whole streaming thing today. A lot of people will never get the full experience. I have seen kids just shuffling around on Netflix, and after like 30 minutes, they still haven’t decided what movie to watch. Instead they’ve watch like 5-10 different beginnings of different movies. Practice, play and record more music and hopefully do a small national tour. That would be a lot of fun. Besides that I play bass guitar in a “Dark Country”- band called SuperScum and right now we’re recording some new songs and planning some shows for the summer. 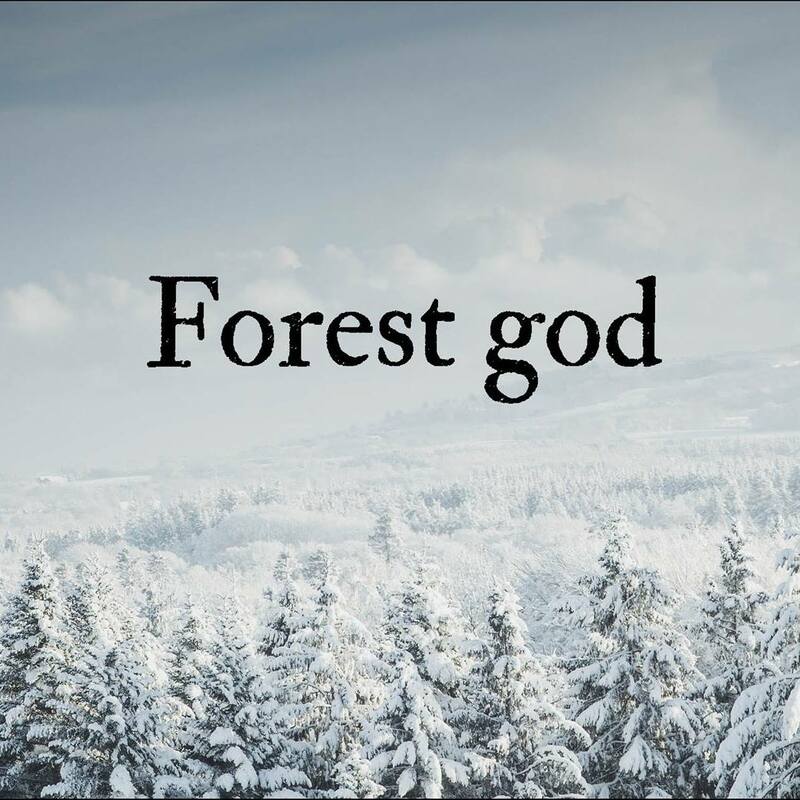 For more information about Forest God visit the project’s website.